Sydney, Australia – Nectar Farms Headquarters – Wednesday, October 4, 2017 — Nectar Farms, an Australian agri-business, has selected LumiGrow as their lighting partner for its first 40 hectares of greenhouse developments, representing the largest greenhouse installation in the southern hemisphere. LumiGrow will be the exclusive provider of LED lighting systems comprised of both LED hardware and software for the facility growing vine crops and other vegetables in Victoria, Australia. Nectar Farms’ lighting strategy promises to go well beyond traditional techniques. 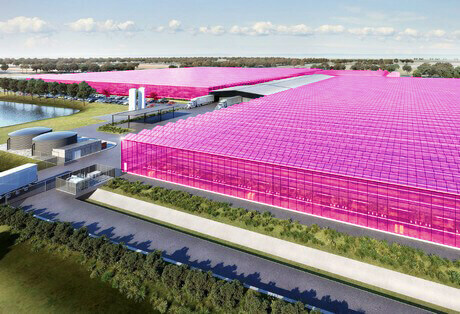 The greenhouses will be equipped with adjustable LEDs, controlled through the LumiGrow smartPARTM cloud-based software. The spectrum, intensity, and photoperiod of the LEDs will be managed dynamically along with plant growth stages, to elicit beneficial plant characteristics and respond to plant stress. Additionally, the smartPARTM software will be integrated with LumiGrow smartPARTM Light Sensor Modules, to maximize utilization of the sun’s energy and reduce energy costs.